You know exactly what you don’t want… but have no idea what you do want in your career. You are constantly prioritizing others’ needs over your own… and are starting to resent it. You are wondering whether you’ve made the right decisions in the past… should you have taken a different turn somewhere in your career? If so, you’re not alone. Many people feel stuck at some point in their career. The question is what are you going to do about it? 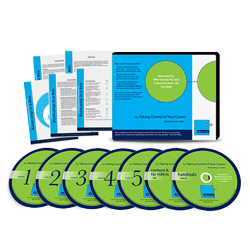 The Taking Control of Your Career® Bootcamp (TCCB) is a proprietary, validated system which helps participants get out of their own way quickly–and stay there. We understand how having “one more thing” to do may not be an appealing prospect. However, if that “one more thing” is going to help you move forward, isn’t it worth the investment? I joined Taking Control of Your Career Bootcamp for help contemplating a career change, but quickly realized that I was about to get so much more out of the program. It enabled me to better articulate my thoughts and understand my behavior, resulting in increased self-awareness. The experience put me in touch with my own ability to look inside and make changes to achieve personal and professional growth. And Amanda is the greatest thing since sliced bread! When I first joined the Taking Control of Your Career Bootcamp, I was a victim of my own inner skeptic and wondered if any change was possible for me. Within a few weeks I felt a noticeable difference. I was amazed at how small changes could profoundly improve my career and personal life. Even my teammates noticed my improved efficiencies–we all started working together much better. This program helped me realize why I felt stuck. It helped me to take back control of my career.